Hello, my darlings! 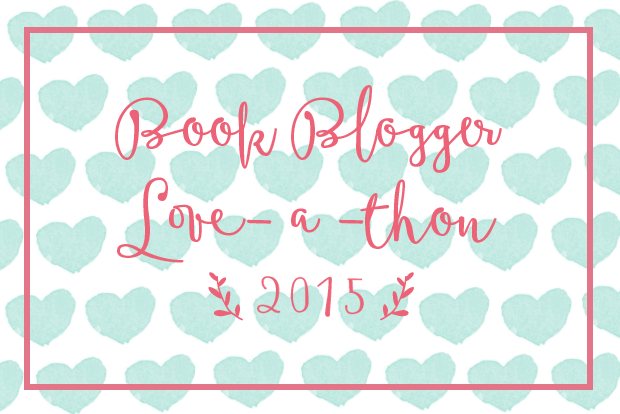 It’s time to kick-off the Book Blogger Love-a-Thon this 2015! Having been a part of last year‘s event, I’m totally excited to be joining again! 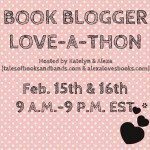 To start, I’ll be sharing my answers to the Love-a-Thon interview questionnaire! H-A-Z-E-L. Hazel. Yes, like the nut. Yes, like the eye color. Yes, like the MC of TFIOS. I started on Tumblr, where I once had a personal blog. I tended to talk a lot about books there, and I thought to myself, “Why not just create a book blog?” and so I did. My aim upon initially creating my blog was to have it focus on books. 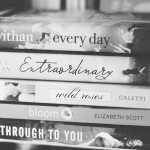 So while trying to come up with a blog name, I was pondering what I wanted from this (book blogging)- and I realized that the goal was for me to stay bookish. Contemporary Romance, most of the time- varying from Young Adult to New Adult! I do like Fantasy and Dystopian books but I still tend to lean to my favourite genre when it comes to what I read/review. 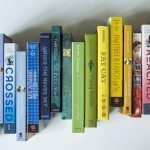 I share lots of book photography (Novel Portraits), a few discussions (Little Talks), some favourite quotes (Quote Book), and also book playlists (Story Soundtracks). I also do interviews with authors and sometimes share promos. Last month, I got to do a one on one video interview with Michelle Hodkin. It’s definitely my best/most unforgettable blogging experience so far. This event itself is the epitome of what I love about the book blogging community. There’s so much love to go around! Trish Doller’s Where The Stars Still Shine and Kasie West’s Pivot Point duology! I’d be great friends with Emily from Since You’ve Been Gone because we’re so much alike. I reckoned we’d stick together. I love designing stuff and I actually have a design shop where I offer my services to other bloggers. I also love photography and I’ve recently made a blog (Films & Reveries) that serves as my photo journal. I love shopping for pretty trinkets and pretty stationery items! Either Shut Up and Dance by Walk The Moon or Greek Tragedy by The Wombats. I love turning these songs up and putting them on replay! It’s already been optioned actually- I’d love for Gayle Forman’s Just One Day to be adapted in film soon! Pivot Point is so underrated!! That series is so great. I became completely obsessed with Kasie West after reading it! Shut Up and Dance is totally my song. I embarrass myself every time it comes on because I can’t help but shout the lyrics at the top of my voice and just dance around!! Ooooh I LOVE Walk The Moon. I’m seeing them in March :) Emily was such a sweetheart in Since You’ve Been Gone, her character development made me tear up a little! I love that your name is Hazel, how fun! I can’t wait for ACOTAR as well! I can’t wait for ACOTAR as well! I love Pivot Point, but I haven’t read Where The Stars Still Shine. Your Novel Portraits and Story Soundtracks are awesome. It’s nice to meet you, Hazel! I love your picks for underrated books–they’re both excellent & total 5-star reads for me. Shut Up & Dance is a great song to jam out too for sure! Your blog is so beautiful! I really want to pick up the Pivot Point duology and the Just One Day duology + novella! hi, hi Hazel! I love contemporary romances too, and they tend to be the most I review on the blog (maybe even more so than my favorite genre, fantasy), especially in the NA genre. That is SO COOL that you got to do an interview with Michelle Hodkin. Isn’t it amazing that blogging has allowed us so many opportunities to interact and chat with authors? I personally love that aspect because it’s very rare we get big-name authors doing tours in my state, and so it’s great that I can chat with them online and close the distance. It was nice getting to know you! SIX OF CROWWWSSS. Heists + ragtag team of unlikelys being together are my favorite. It gets me soooo pumped up. NEED IT IN MY LIFE. LIKE RIGHT NOW. I think your blog name (and design) is perfect! I really love seeing where everybody is from! Books allow us to connect where otherwise we wouldn’t be able to. It’s fabulous. I was just reading about you over at Anatomy of a Booknerd and had to meet you. Your blog is beautiful and has such a nice layout and color scheme. I didn’t realize Six of Crows was the new story written in the Grisha world! Oh! I want to see what’s that about. But I wonder if I should finish the Grisha before I even attempt to pick up the new book…. hmm. Decisions. I am as excited as you are with A Court of Thorns and Roses! And I seriously loooooved the cover for Six of Crows by Leigh Bardugo! I just want to say that you are one of the reasons why I stuck to book blogging Hazel and I am thankful for all of your help and support! That video interview with Michelle Hodkins seemed like such a fun and memorable experience, Hazel. I have no idea how you were able to interview her, but that’s got to be one of the best blogging experiences someone could ever have. Blogging opens up so many doors for us book lovers. I like your name. I’ve never met someone named Hazel before. Pivot Point was so amazing!! It was one of my favorites of… oh wow, 2013? I STILL haven’t read split second yet, I have no idea why. I own it though, so I will, soon!! I also can’t wait for six of crows!! So excited for that! 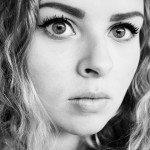 It’s so great to ‘meet’ you through your beautiful blog! 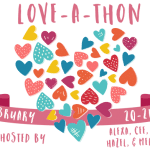 If it weren’t for LoveaThon I wouldn’t have stumbled across the many I have so far and that’s exactly why events like these matter. I look forward to your future posts! Your photography is wonderful.